I finally made my way to Serendipity3 in Lincoln Road for more than just gluttonous desserts. Some close friends were in town and we decided to check out a relatively new restaurant. I had been to the Serendipity3 in Miami Beach once before strictly for dessert, but this time we decided to try their dinner entrees. This restaurant is one of the hand-full of New York transplants that have graced us with their presence in sunny Miami Beach in recent months. On our most recent visit, we didn’t hesitate in digging in. 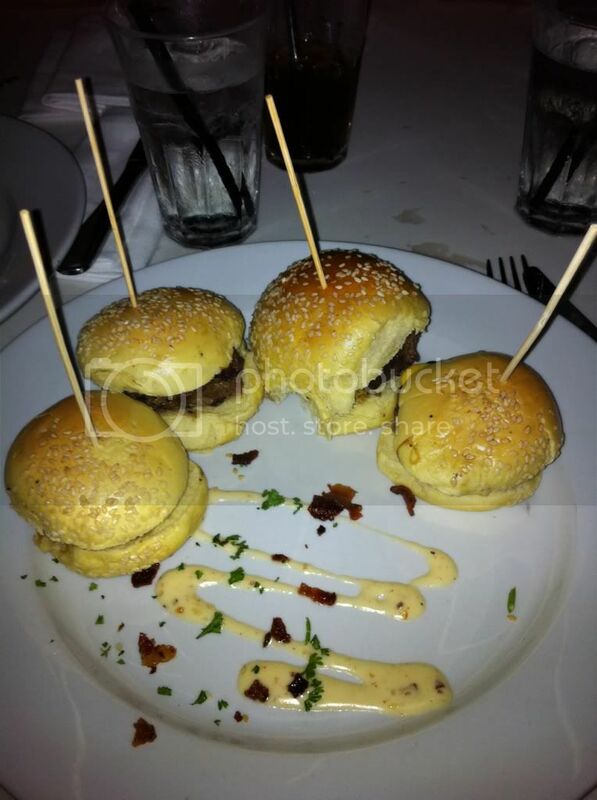 I decided to order their Safe at Home Wagyu Sliders. 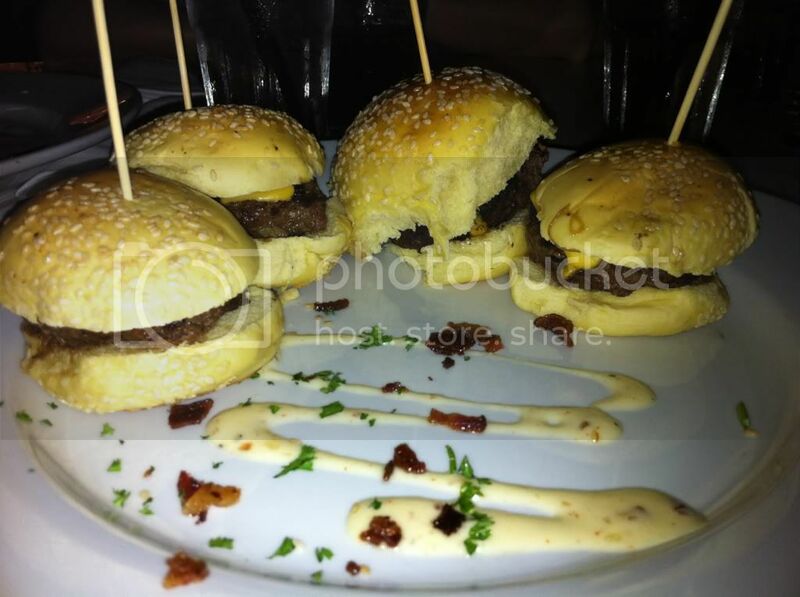 The menu states the Wagyu beef sliders come with bacon aioli and American cheese, sounds innocent enough right? Well it wasn’t. The beef itself was well seasoned and cooked medium. The cheese was American cheese, nothing wrong there. The bacon aioli was actually great and probably the best part about this dish. My main gripe is against the pieces of cardboard the burgers were placed in. The bread was brick hard, dry and tasted as if it had been sitting out all night. What had the potential to be a great slider plummeted to the level of a $.59 cheeseburger from McDonalds. 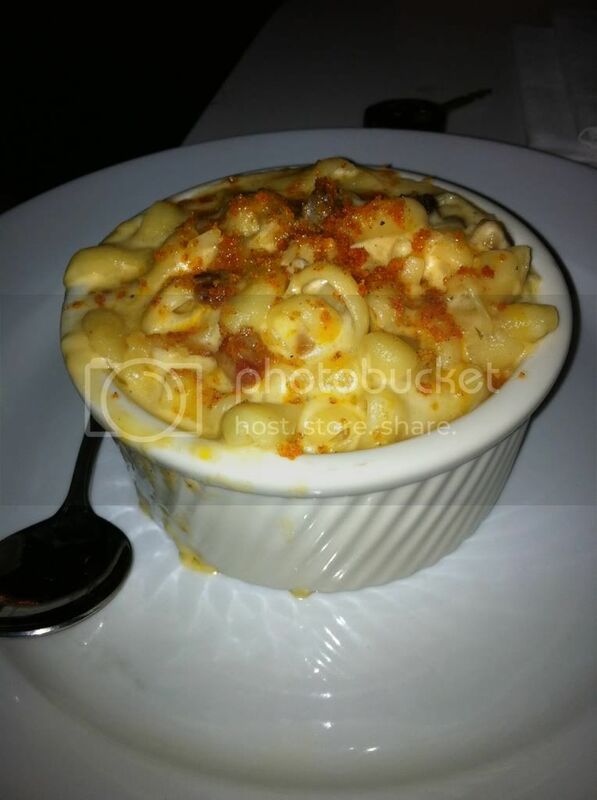 My best friend, Peter, went with their Mac & Cheese and asked for some extra bacon (because you can never go wrong with extra bacon). His Mac & Cheese was actually very tasty and the extra bacon was definitely the way to go. The pasta was creamy, well seasoned and the bacon gave it a nice contrast in texture. The pasta is served in a modestly sized ramekin with bubbling cheese over the top. Although it was tasty, a few of us at the table wondered if this relatively small bowl of pasta was worth the $14 price tag, especially when the portion was more like a side dish than an entree. Either way, this dish was definitely one of the highlights of our entrees for the night. I wish I could say the Wagyu sliders were our only disappointment; my friend Jen ordered their Tex-Mex Macho Macho Salad. The salad was less "macho" and more "wimpy" if you ask me. 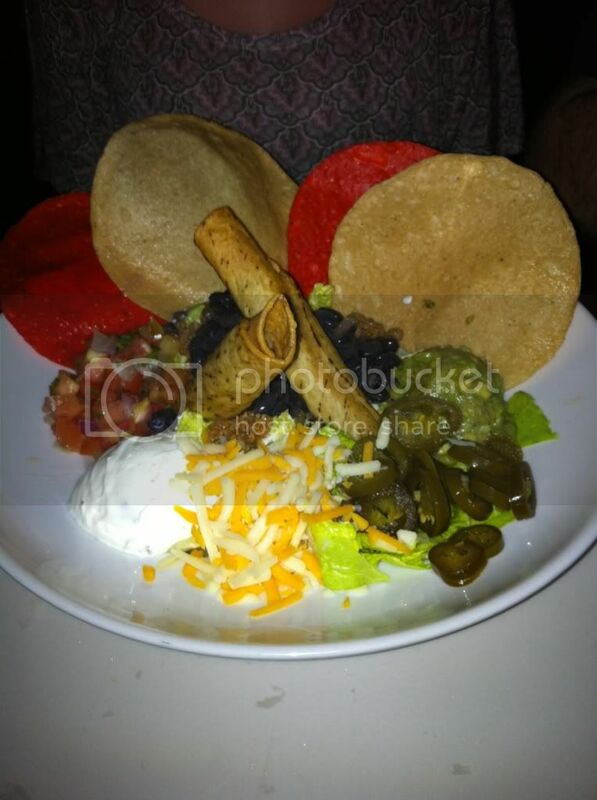 The salad comes with cheese, pickled jalapeños, sour cream, lettuce, guacamole, tortillas, taquitos, black beans and ground beef. The guacamole was not fresh and was a nice shade of booger brown. The ground beef was cold and lastly, the filling in the taquitos was a total mystery to everyone at the table. It was the second disappointment of the night and I was starting to feel embarrassed that I suggested this restaurant to my friends. 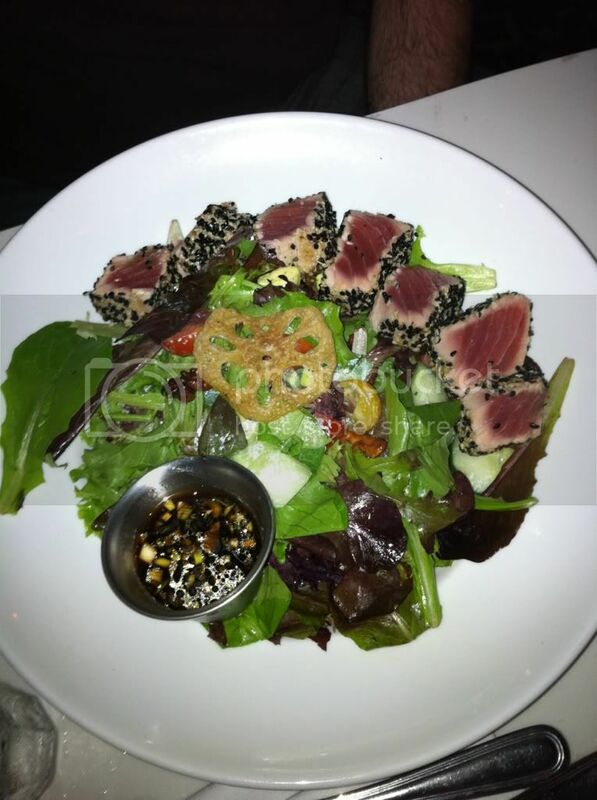 The last entrée we had was their Ahi Tuna Salad. My friend Manny was really quiet while he was eating this salad. All we got out of him, for the most part, was a couple of sentences including, “You can’t get stuff like this in West Virginia.” He pretty much inhaled his salad and said it got a ‘thumbs up’ from him. I will give the restaurant this much credit, the salad did look delicious and the tuna (although I didn’t try it) looked very fresh. Now onto the desserts, on my first visit I had their traditional Frrrozen Hot Chocolate which was absolutely delicious. It’s not quite a milkshake, not quite a smoothie, but 100% diabetic coma inducing. It was perfect especially for this blistering Miami heat. So this visit I knew I had to have another Frrrozen Hot Chocolate, I decided to try their Amaretto Almond Frrrozen Hot Chocolate. It’s made out of their white chocolate base and it tastes just like amaretto liqueur. The neat part is it’s topped with their usual mountain of whipped cream and chunks of almond brittle. I personally really enjoyed this dessert since I'm a big amaretto fan. 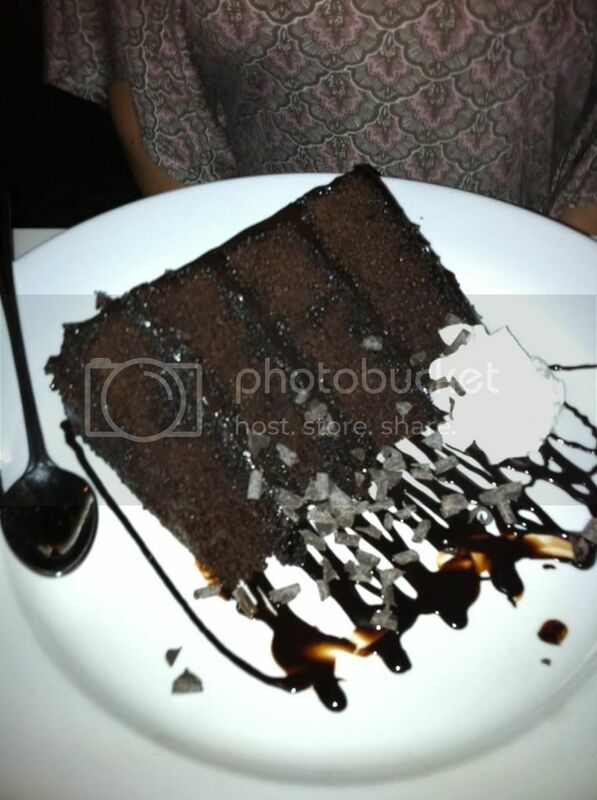 My friend Jen had their Chocolate Blackout Cake, due to my promising her that it tasted great. 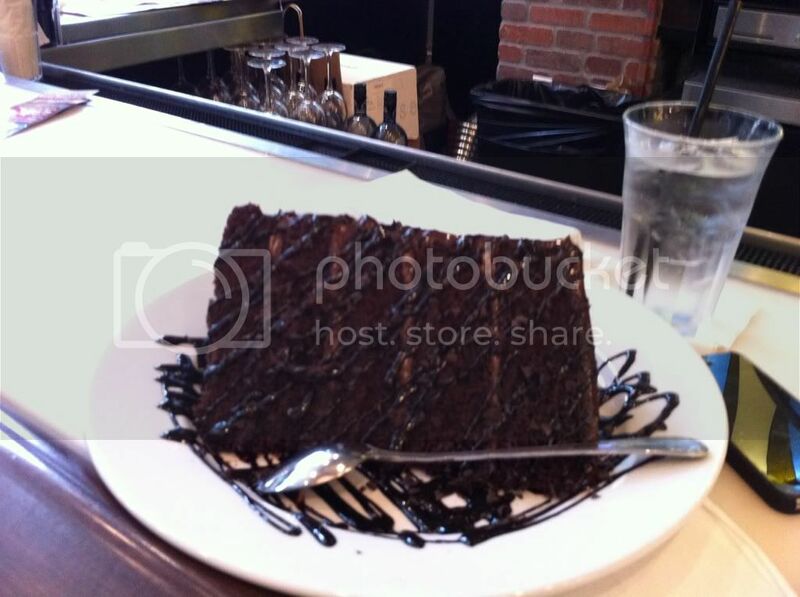 On my first visit, my boyfriend had ordered this same cake and it was delicious, fresh, and an enormous serving. I had hyped up this dessert and what was placed down on our table was a slice of chocolate cake half the size from our first visit. Jen said the cake didn’t taste fresh and was disappointed with it. I didn’t try the cake because I was too busy with my frrrozen hot chocolate and cookie sundae, but it’s sufficed to say I definitely felt embarrassed. 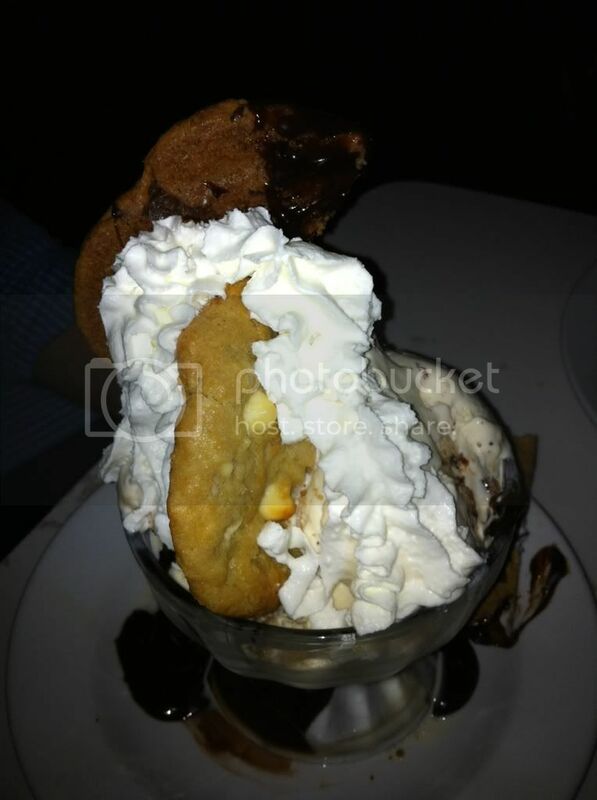 The show-stopper dessert at our table was their Lookie Lookie Gimme Cookie Sundae. 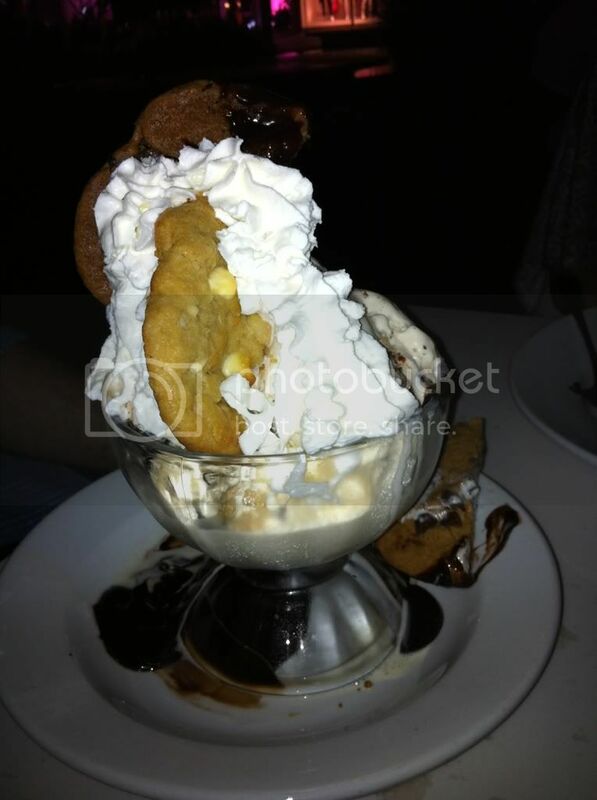 This behemoth of a sundae came with cookie dough ice cream, two giant cookies (one chocolate chunk and one white chocolate macadamia), chocolate syrup, and a mound of whipped cream. Everyone at our table had at least one giant spoonful of this delicious monstrosity. This was the best possible ending to a mediocre meal. 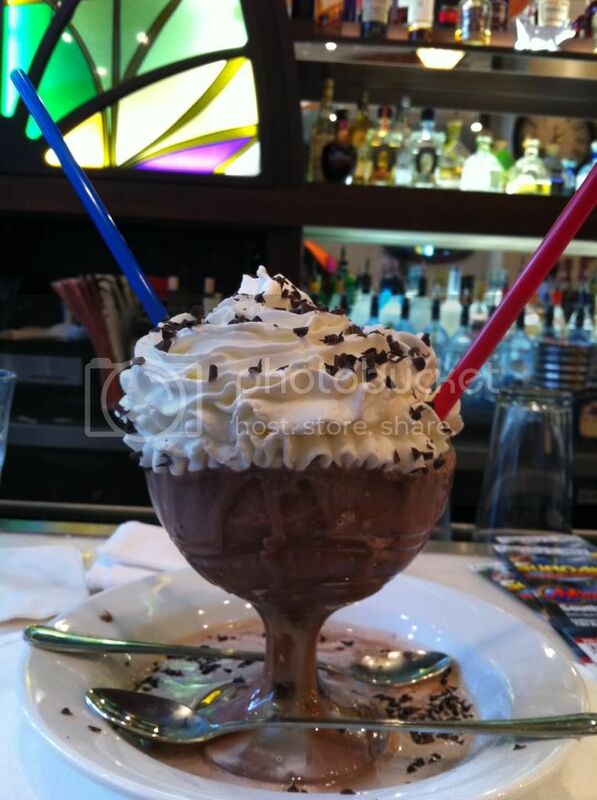 In summation, I would suggest to eat dinner elsewhere and come to Serendipity3 only for their desserts. Another issue that we faced throughout the night was our practically non-existent service. Our waitress was nice, but trying to find her was a night-long game of “Where’s Waldo?” Perhaps this is one of the pitfalls of dining on Lincoln Road which caters predominantly to tourists that perhaps don’t expect better or know better. The prices are relatively reasonable with a few items here and there that are slightly over-priced. I definitely left feeling like this place is definitely hit or miss with a couple of dishes exceeding my friend’s (and my) expectations and others coming nowhere near. I wish I had found your blog earlier! 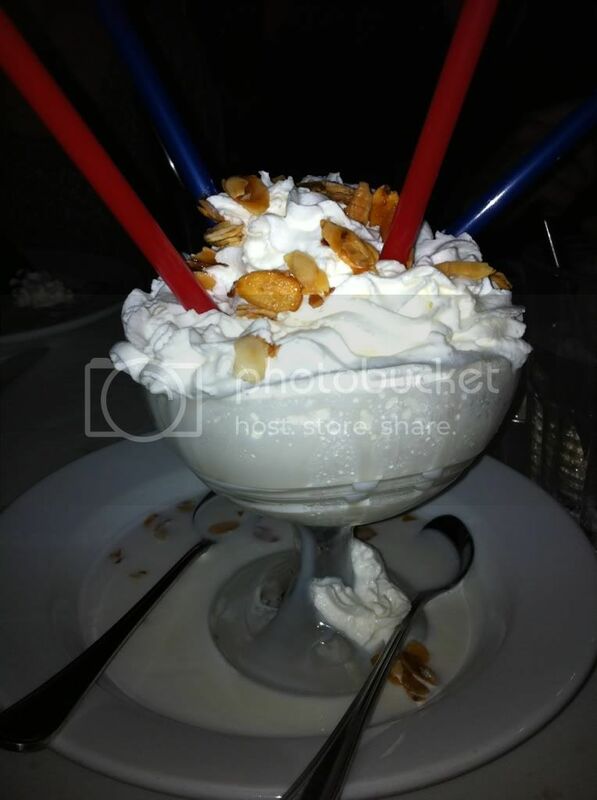 I went to Serendipity 3 this past weekend and was sadly disappointed as well. Service hasn't improved much either. After we were finally served our dinner we had to hunt down a server (any server) for utensils, napkins and water! Will only go there for dessert in the future.